Germany is home to romantic castles, scenic landscapes dotted with half-timbered homes, and cultural hotspots like Berlin and Munich. The country is also known for its high-performance automobiles and fondness for efficiency. Germans also know how to celebrate—whether at the legendary Oktoberfest, or at lesser-known wine and seasonal food festivals. Here are five German fests that are filled with great food, drink, and cheer. 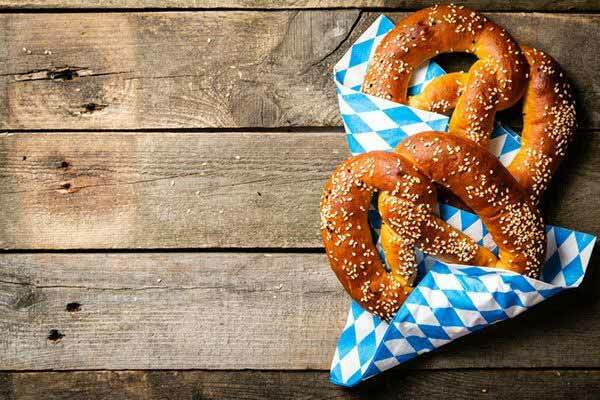 A six-day fest dedicated to the humble but irresistible pretzel, the Speyerer Brezelfest is held during the second week of July. A pretzel queen is chosen, and there’s also a colorful parade during which delectable pretzels are tossed into the crowds. Fireworks, live music, rides, games, and a running race (Brezelfestlauf) round out the event. Though the festival’s origins only date back to 1910, the town of Speyer has even older attractions: a famous Romanesque cathedral (Kaiserdom), an attractive old town (Altstadt ), and synagogue ruins that are among Europe’s oldest. 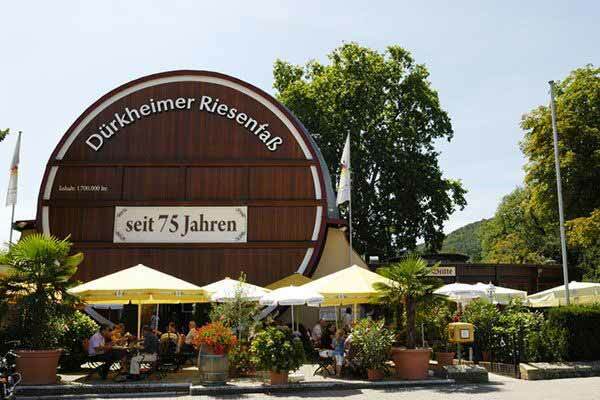 Every September, the pretty southwestern spa town of Bad Dürkheim hosts the world’s largest wine festival, the Dürkheimer Wurstmarkt. The fest has been a tradition in Bad Dürkheim for more than 600 years. Its origins date back to medieval times, when local residents marketed food to pilgrims who annually made a spiritual journey to a nearby hilltop chapel. Eventually, the event morphed into a larger—and more hedonistic—affair. More than 300 types of wine flow during the nine-day event. You’ll find sparkling Sekt, as well as flavorful white varietals like Riesling, Silvaner, and Gewürztraminer. If you’re a red enthusiast, don’t despair, for Blauer Portugieser and St. Laurent are also grown in the region. It’s not just wonderful wine that’s on order here. As the festival’s German name implies (the word Würste translates to “sausages”) many hearty dishes make appearances on the menu. Be on the lookout for Bratwurst that are one-and-a-half-feet long, as well as steamed dumplings called Dampfnudeln. These popular dumplings can be sweet or savory. Sometimes they’re even served with a wine sauce—quite appropriate since you’re in wine country. Bad Dürkheim also dishes out old-fashioned fun in the form of live-music performances, Ferris wheels, games, and fireworks. Later, if you want to escape the crowds, you can explore the nearby German Wine Route (Deutsche Weinstrasse), which is 50 miles long. The area enjoys a moderate climate that nurtures not only grapes, but also almond trees, figs, and lemons. Marry hundreds of thousands of pumpkins and a Baroque palace, and you have the delightful Ludwigsburg Pumpkin Festival (Kürbisausstellung Ludwigsburg). This fun-filled event takes place every autumn, with the elegant Ludwigsburg Palace grounds transformed into imaginative scenes. While different themes determine the look of each year’s event, past festivals have seen pumpkins, squash, and gourds turned into mighty dinosaurs, forest creatures, and mosaic-like displays. Most of the pumpkins are grown locally, in keeping with Germany’s eco-friendly nature. Special events take place over the course of a month. 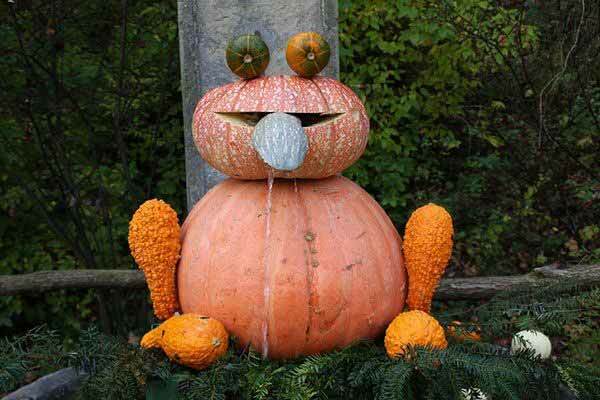 There are pumpkin-sculpting exhibitions, a pumpkin variety show featuring samples from around the world, even pumpkin-weighing contests. One of the largest pumpkins to date weighed in at more than 2,000 pounds. If you’re feeling adventurous, sign up in advance to participate in the pumpkin canoe regatta. You’ll need to hollow out a massive pumpkin, hop in, then paddle yourself through the palace’s ornamental pool. If you’re not up to the task, watch from the sidelines or simply feast on the festival’s many culinary specialties. There’s everything from pumpkin spaghetti and steaming bowls of creamy pumpkin soup to pumpkin juice and pumpkin quiche. You can also buy edible souvenirs like pumpkin pasta, pumpkin champagne, and jam infused with pumpkin and other types of fruit. For millennia, asparagus has been revered by everyone from the ancient Egyptians to the Greeks and the Romans. In the 17th century, the French King Louis XIV sparked a renewed interest in asparagus, influencing the aristocracy in what is now the German state of Baden-Württemberg. An adoration for asparagus (Spargel) continues in parts of Germany today, with white asparagus being especially prized. In late April to June, this beloved “white gold” emerges in fields and on the menus of discerning restaurants. (To ensure it doesn’t turn green, the asparagus is covered with a mound of soil, which blocks the sunlight. This is said to create a more delicate flavor.) At restaurants you’ll see asparagus dressed with butter or Hollandaise sauce, and often paired with potatoes, ham, or fish. In June, the elegant town of Schwetzingen—dubbed the Asparagus City (Spargelstadt)—plays host to the day-long Spargelsamstag. At this festival, a queen is crowned, vibrant music is played, and you can devour the famed white asparagus. If you’d like to purchase a bundle of Spargel you can do so in town or from roadside stalls in the countryside. Schwetzingen boasts a salmon-colored palace as well as impressive gardens that date back to the 18th century, which are worth visiting. 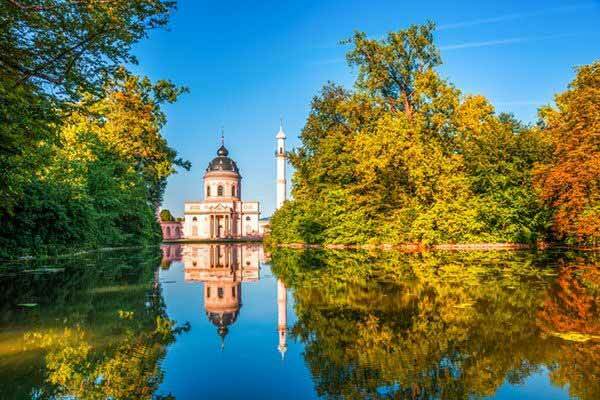 Time in Schwetzingen can also be paired with side trips to the university town of Heidelberg, or perhaps even a spa day in elegant Baden Baden. 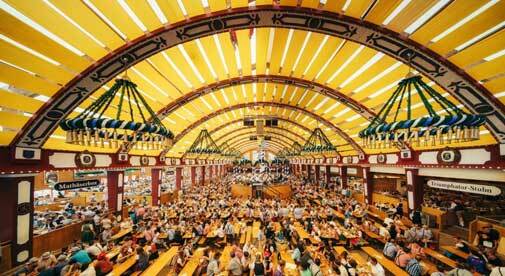 Oktoberfest is the granddaddy of German festivals. It takes place in Munich for 16 days in September and October. Munich’s mayor kicks off the world-famous event by tapping the first barrel of beer. That same day, a lively procession travels from the city to the fairgrounds. Horses pull carriages decked out with flowers, wooden beer barrels, and the insignia of Munich’s big breweries. More than 1,000 people participate in this parade as brass bands play on. With more than 30 fest tents to celebrate in, you’ll be spoiled for choice. 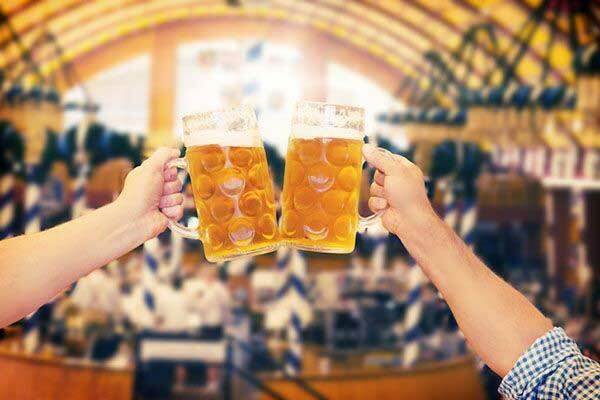 Oktoberfest attracts millions of revelers each year, so it is wise to reserve seats in your preferred fest tent. To make your Oktoberfest experience even more memorable, consider sporting Bavarian attire, too. You can find a Dirndl (traditional dress) or Lederhosen (leather pants with suspenders) at specialty clothing stores throughout the region. However, since Oktoberfest can be a rowdy affair (and beer spills are not uncommon) you might want to opt for lower-cost Bavarian apparel from a department store.